Sanjim’s grandson, 12-year-old Mukhertinn is already an expert rider and herder. Carving a life out of the rugged Mongolian landscape was never easy. Now rich elements of a nomadic culture are in danger of disappearing. 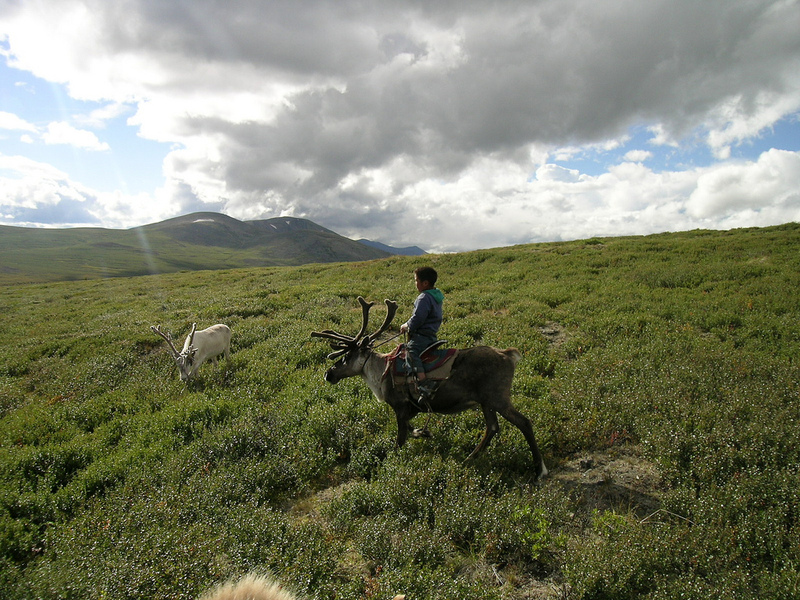 As part of the “Worlds of Difference” series on cultural change aired on NPR, Lorne Matalon visited with the Tsachin — nomads who herd reindeer. He learned that Mongolia’s domesticated reindeer population has fallen to fewer than 700 animals, maintained by 44 families who are trying to hold on to a centuries-old way of life. This entry was posted in NPR, Photography, Radio and tagged Mongolia. Bookmark the permalink.